Wallpaper is great when it is new. But over the years, it starts to absorb cooking odors, moisture from steaming pots and whistling teakettles, then the seams begin opening resulting in torn edges and/or gaping seams. Ugh. Re-wallpapering is quite a feat. First, ripping off the wallpaper is a tough job … almost as tough as spending hours poring over heavy wallpaper books to get the right look for your kitchen area. So … paint is your best choice! And, if the kitchen needs sprucing up or a lift in a few years, it sure is easy and inexpensive to apply a fresh coat of paint or two. Voila – a masterpiece … now to just master the mostaccioli. You cannot go wrong with picking a neutral paint color for your busy kitchen area. Neutral colors work best in the traditional kitchen and are easier to accessorize and work well with all cabinet finishes. 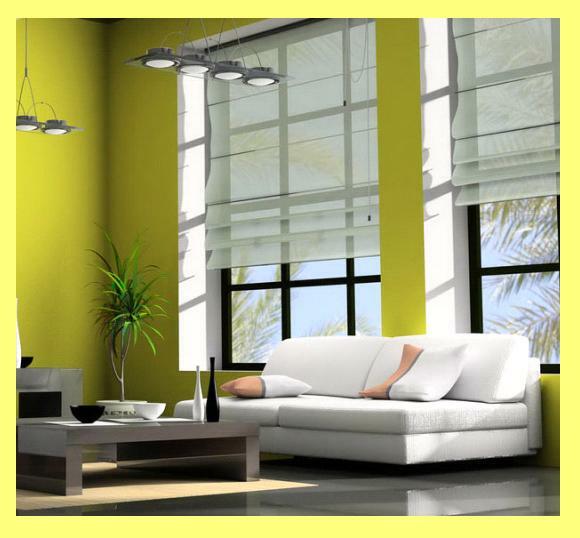 Yellow is a popular color for kitchens, and that’s why you usually see a sunny yellow as the top pick for that room. The sunlight streams in and those bright and cheery walls help to make the kitchen the one place where the family will gather the most, even if your house has a separate dining room. Lingering, grazing and grabbing a bite to eat is all done in the kitchen. Dove gray – A neutral color, but a popular one to use for your traditional kitchen. Today’s large and small appliances are trending more to a stainless steel look, so the all-gray look for a kitchen keeps it cool with clean lines. Seafoam – Seafoam or sage colors for the kitchen keep it simple and soothing. Another fairly neutral color, seafoam is light enough to keep the kitchen airy looking and works for large or small rooms. Wedgewood blue and white – This is a homey and pretty shade for your kitchen. It’s a perfect way to showcase those Wedgewood or Delft dishes and accessories you’ve gathered through the years, courtesy of your grandmother, occasional estate sale or impulsive buy. A wainscoting look of a darker blue bottom half of the wall, paired with a white wall for the upper half give a contemporary look but works equally well with a traditional breakfast nook table and bench seating, as well as colonial-style furniture. Orange and green – Citrus and sage would be the primary hues in this duo and will bring your kitchen to life. Paint three walls in the color sage, then make a focal or accent wall in citrus with citrus accessories, and you have a winning look for your traditional kitchen. Red and yellow – This bright color combo is fresh from the Crayola box, and is snappy for your kitchen, and borrows a color pairing which has been popular in European homes for years. Deep brick red and dark golden yellow mesh together to create a regal and fashionable look; red accessories will add punch to the kitchen area. Beige and white – Two neutral colors, but when paired together create some pizzazz and are perfect for pairing with any type of furniture or accessories. A neutral-colored floor or wood treatment flooring will match the wall covering and rugs, curtains or even small appliances can be purchased in bright colors to accentuate and give the room a vibrant feel. Blue and brown – A soothing medium blue paired with chocolate brown may put you off a bit, but it is a combo that has appeal and you can tweak the blue and brown colors to suit your fancy. For example, for modern or traditional homes, a sky blue color and deep chocolate brown accents work well with a few bright accent colors thrown in to “pop”. For a country-style kitchen with colonial furnishings, robin’s egg blue and wheat brown with cream-colored accents will work perfectly and give you the warm and cozy look that holds such appeal for people who favor the country theme. You can even go darker with the blue and brown colors depending on the size of the room without overwhelming your kitchen and making it too dark and brooding looking. A huge window to let the sun stream in also factors into what range of dark colors may be used. When choosing paint for your traditional kitchen is sure to consider choosing a painting contractor experienced in kitchen painting in Nassau, Long Island to get the job done effortlessly and professionally. Show that expert your painting preferences and whether you opt for a one-dimensional neutral shade or a two-tone more contemporary color combo, he or she will be able to offer advice on whether those colors will work for your room size and style and existing accessories. With this advice and an expert paint job on the horizon, your kitchen will be looking good and ready to entertain family and friends in record time.